One of the biggest challenges agency owners face when running and growing their business is to find and retain high quality employees. "As you know, it's always very tough to find talent with the right attitude. A lot of candidates have skills, but one should also have the thirst to learn more." - Jaseem Ts, Co-Founder and CEO at WowMakers. Note: This is a huge guide with 20+ different tactics. To make navigation easier, you can click on the icon near each title to quickly jump from one section to another. Slack is an instant messaging and collaboration tool used by teams all over the world. If you haven't used Slack yet, think of it as Internet Relay Chat (IRC) on steroids. Similar to IRC, you can create both public and private channels. Slack communities can either be free or paid. Alex Kistenev from Standuply has also created a great list of Slack communities you might want to check out. It is also becoming increasingly common for subreddit moderators to create their own slack channel. Engage first, pitch later. Slack channels are built primarily for discussions and networking. Make sure you contribute to the community first, before pitching any job openings. Your company blog can be one of your most powerful tools for building up your brand name. However, apart from building a brand name among potential customers, sharing your team's culture can help you land some great talent. One of the best examples of how you can use your blog to attract talent to your company is Groove. On the outside, this blog is the biggest example of that. Simply reading these posts can give most people a fantastic idea of whether they'd fit in here or not. And, since we've launched the blog and continued to hire, every single person we've hired has been a reader of this blog. So, how does Groove attract talent via their blog? They do it by being transparent. Groove not only share their business metrics, but they're also transparent about their culture. Company culture is very important to our team. We emphasize company culture strongly during the hiring process. 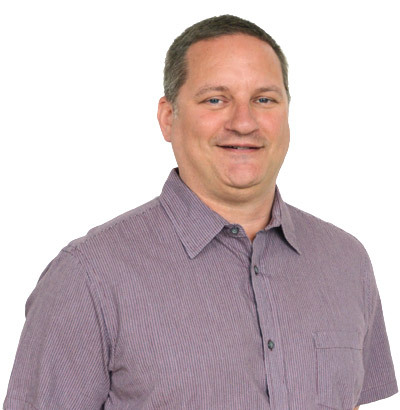 James Laverdure, Business Development Manager at Space Studio. Our goal is to build strong brands by helping them identify, claim, and build up their digital space while staying on trend with the latest and greatest solutions. Being transparent about your company culture and values can help with attracting like-minded individuals. This is exactly what happened at Mightybytes when they started making craft beer for their clients. Company culture is very important to us as part of the hiring process. We brew on the clock, and often do collaborative strategic planning as a group. Plus, being a B Corp is a huge part of our company identity, so those are things we discuss during the interview process. We also really like using B Work to manage the hiring process. 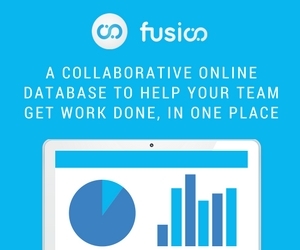 Great tool to find mission-aligned team members. Tim Frick, CEO of Mightybytes. 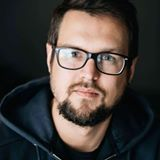 A frequent speaker and conference presenter, Tim offers workshops and presentations on web design, content strategy, digital marketing, social impact business, and sustainability. You can also use Blogging Communities, such as ProBlogger, to effectively hire writers and creatives for your team. We've had success with a number of channels - Craigslist, local job boards and word-of-mouth referrals for employees, and Problogger for the creatives on our team. The biggest factor for us hasn't been the channel we use, but implementing skills testing as part of our interview process. To me, it matters less where you find people, and more that you're reaching people who can handle the work you need covered. Sarah Rickerd, Owner and Managing Director at Content Conquered. Providing web content creation and copywriting services that help business owners expand their personal and professional brands online. Facebook Business pages can be one of the best channels to showcase your company's culture. One of the advantages of using your business page as a recruitment platform is the fact that Facebook lets you engage with prospective candidates on a more personal level. Facebook will also help you increase your brand presence, build more trust and consequently, attract better candidates. Two of the best examples of how you can use your Facebook business page to attract talent to your company are Lama Media and WowMakers. 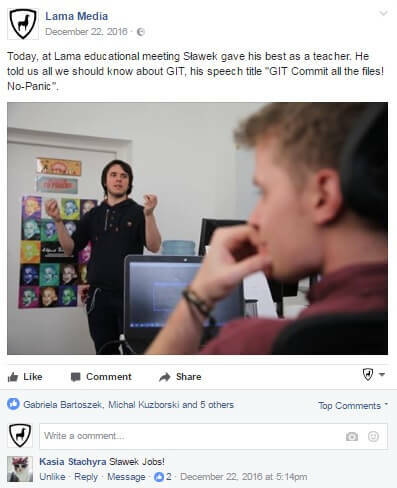 For me the most unique thing about Lama Media’s employer branding is showing off our employees’ passions and the atmosphere we work in. We develop our professional skills at Lama Academy - inside cyclical meet-ups, which we often mention on our Facebook page. What’s more, after work hours majority of our team sing or play instruments, so for 2 years in Christmas time we cover popular Christmas songs, effects of what you can see here and here. We get a lot of feedback from interviewed potential employees, that the Christmas song was the major reason of sending a resume - that’s why we decided on including links with it to the job advertisements. Aneta Ilnicka, Marketing & Communication at Lama Media. A Polish web development company, composed of specialists who design, create and maintain websites according to a structured process. As you know, it's always very tough to find talents with the right attitude. A lot of candidates have skills, but one should also have the thirst to learn more. At WowMakers, we usually get the maximum results from age-old word-of-mouth from our network. Along with that, social networks really help. We have a good following on Facebook. Being a creative studio, we try to design creative posters for hiring. Here's something we've shared recently to find a script writer. Apart from Facebook, we also share it on LinkedIn. In total - we've received over 80+ candidate requests combined from Facebook and LinkedIn. Note that we haven't boosted any of these posts. 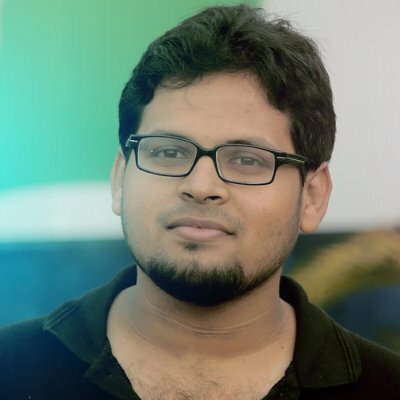 Jaseem Ts, Co-Founder and CEO at WowMakers. A Digital Media Studio with a mission to empower businesses to effectively spread their ideas and messages through creative story-telling, with a personal touch. On the outset, Quora may seem very similar to Yahoo Answers. However, what makes Quora a great place for finding employees is that, on Quora, users are expected to use their real identity when answering questions. This makes Quora one of the best places for people to showcase their knowledge. 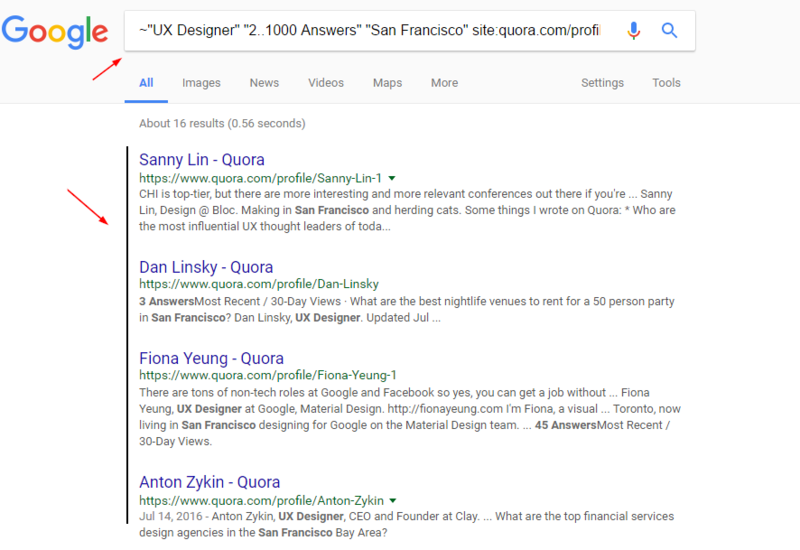 As Quora still lacks advanced search capabilities, the best way to find employees on Quora is through Google search. ~"<keywords>": Tries to match profiles with the provided keywords. The tilde "~" instructs Google to look for synonyms for your particular keyword. E.g: ~"UX Designer". "2..1000 Answers": Specifies that the Quora user must have at least answered anywhere between 2 and 1000 Quora questions. "<City OR Country>": Looks for profiles of users located in particular cities or countries. site:quora.com/profile: Restricts search results to only show Quora profile pages. Another way of putting your company in front of potential candidates is to use Quora as a regular Quora user. What this means is that you get to engage within the Quora community, share knowledge and ask great questions. Participate in conversations with potential candidates. Before messaging Quora users, make sure to participate in discussions on any of their answers. Also note that some users might disallow Quora comments from people they don't follow. In this case, you should look up Quora users on other social networks, such as Twitter or LinkedIn. 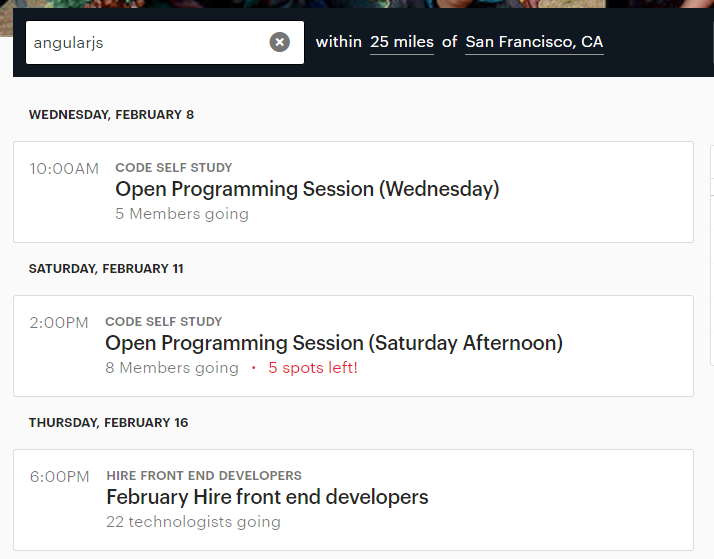 Job boards allow you to post jobs, screen and hire candidates, from one place. Of course, finding relevant job boards is dependent on both your location and your niche. Also, job boards might have different pricing structures. Some charge per job post while others charge a monthly fee. Finding relevant job boards is all about doing research in your city, country or niche. At the moment we’re using Facebook and a Polish version of LinkedIn named GoldenLine. Together with local networking, events, workshops and local community relations - it works nice. 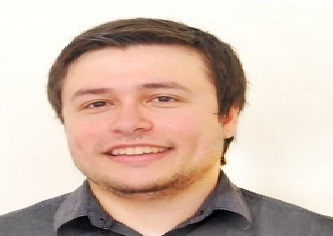 Chris Parjaszewski, Co-Founder of SkyGate. A web product development company that creates brands, websites & web apps for startups and corporations. When it comes to finding niche related job boards, the best place to start your search is Reddit. 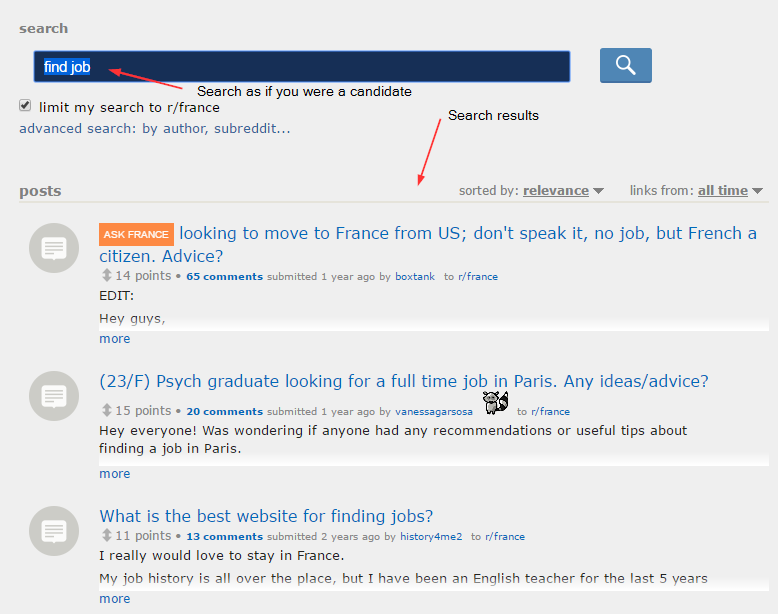 If you are hiring people in France, you might want to head over to France's subreddit. The next step is to find posts from people looking for jobs. There are a lot of Job Boards available on the internet. This list contains some of the most widely used Job Boards. Bonus tip: If you don't have the time to post your vacancies on each and every job board, you can use services similar to Proven. We use behance to find professionals in different creative fields - Behance profile. Eugene Rudyy, Designer at Keepa. Based in Lviv, Ukraine, we collaborate with web and software developers in the area of interface and design solutions. Mentors are one of the best sources for finding talented employees. Why? Because talented people are actively seeking advice, trying to improve their skills and consequently, their life. When looking for mentors, you have to start by thinking backwards. For example, if you're looking for software engineers, ask yourself, "Who would a software engineer seek advice from?" College professors. Smart people tend to look up to and take advice from smarter folk. College professors tend to have access to some of the best alumni, which makes them a great partner for getting talented employees. Influencers. Same as with college professors, smart people tend to look up to well connected influencers. Building relationships with influencers might be a great strategy to spread the word for your open positions. Give first, ask for favours later. Never reach out solely to ask for favours. Put yourself in their shoes and your success rates will improve dramatically. Contact them on LinkedIn or kick off new relationships by Email. Find their email address using VoilaNorbert or Hunter. LinkedIn is the leading business social network. The potential for LinkedIn and other social networking sites to play a major role in your employee recruiting strategy increases as millions of potential employees profile themselves on these sites each year. Stay in touch with former employees. 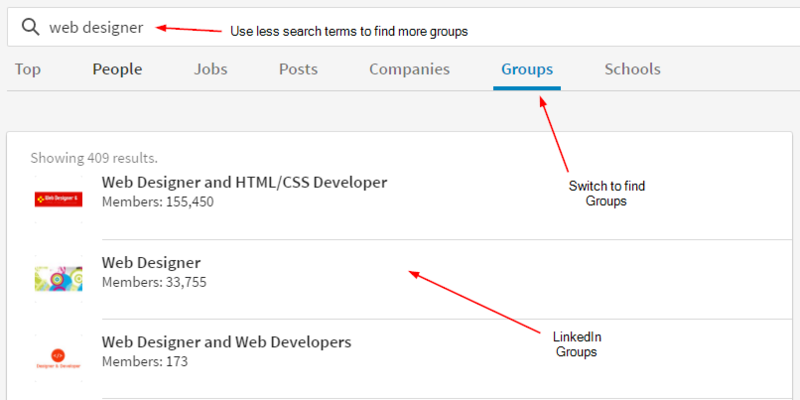 Search for candidates among LinkedIn members. Get recommended to candidates by people in your network. 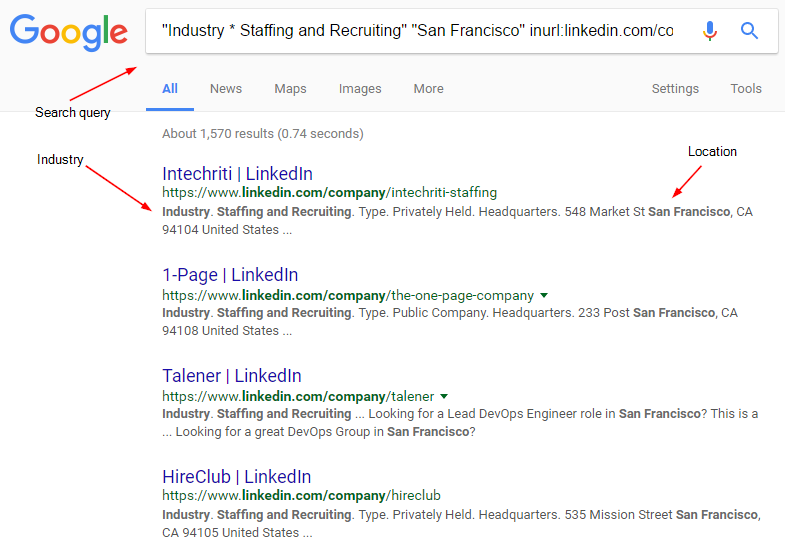 You can either use the standard LinkedIn search or the more powerful Google search capabilities. If you're using the standard LinkedIn search, keep in mind that some options might be restricted if you're not using a LinkedIn premium subscription. "<job title>" "<City Or Coutnry>" site:linkedin.com/in OR site:linkedin.com/pub -inurl:"dir/" -inurl:"jobs/"
~"<job title>": Tries to match profiles with the provided keywords. You can use the tilde "~" to instruct Google to look for synonyms for your particular keyword. E.g: Web Designer. "City OR Country": Looks for profiles of users located in particular cities or countries. site:linkedin.com/in OR site:linkedin.com/pub: Restricts search results to only show publicly accessible LinkedIn profile pages. "Web Designer" "San Francisco" site:linkedin.com/in OR site:linkedin.com/pub -inurl:"dir/" -inurl:"jobs/"
I choose collaborators based on what I see them write and share online, especially on Twitter. When someone's work catches my eye, I look them up on LinkedIn. Anyone serious about being hired or approached as a collaborator should have an optimized LinkedIn profile that makes it clear what they do and what inquiries they are interested in receiving. Unfortunately, social media networks including LinkedIn do not really make good CRMs so it is necessary to use something else to keep track of interactions and status. 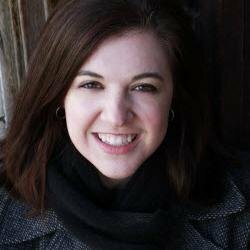 She is a Small Business Marketing Strategist and mentors small businesses, bloggers, and freelancers. Engage with prospective candidates. Once you've established a relationship, add them as a friend on LinkedIn. Contact them via email. Find their email address using VoilaNorbert or Hunter. LinkedIn Groups are a gold mine if you are looking for talented employees. If you're unfamiliar with LinkedIn Groups, think of them as small forums that get together people that share similar interests. However, beware that most of LinkedIn Groups are either inactive, littered with spam or both. Once you've found the groups you were looking for, your next job is to identify whether they are active or not. If they are, you can start engaging in relevant discussions. Once you've engaged with some of the group's members, feel free to reach out by sending a message on LinkedIn. Just click on the members link and reach out to people in the Members List. Reddit is made up of many individual communities, also known as subreddits. Each community has its own page, subject matter, users and moderators. Users post stories, links, and media to these communities, and other users vote and comment on such posts. Through voting, users determine which posts rise to the top of community pages and, by extension, the public home page of the site. 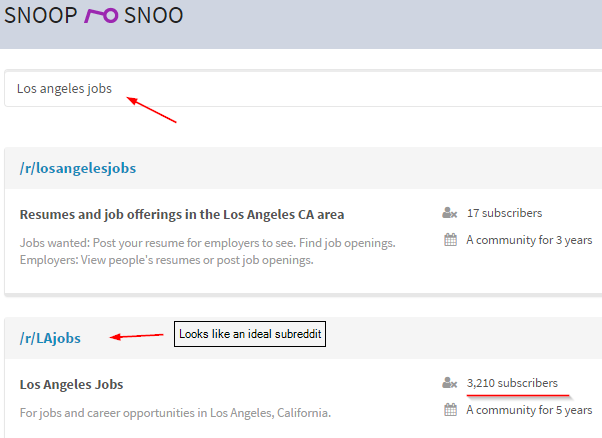 To find job related subreddits, head over to SnoopSnoo and check out their Subreddit search. Remember that apart from the popular job subreddits, you might want to check out niche subreddits. 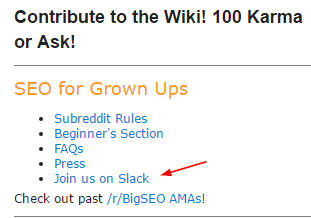 You can find a big list of hiring subreddits in the /r/karmajobs wiki. When posting a job on reddit, make sure you understand the subreddit rules. Also, make sure that your post stands out. You can do so by making your title controversial. Just make sure the title is not too much of a clickbait as that might get you banned in some subreddits. Becca Russell, Senior Researcher at Social Media Search has written a great post on how to recruit talent on Reddit. Make sure to check it out. Add a clear call to action to your post. Don't just message Reddit users who comment on your post. Build a landing page and link to that particular landing page, this way you can test the effectiveness of your Reddit campaign, while giving prospective candidates a clear way to post their CVs or links to their portfolios. Most former employees will regret ever leaving their job. In fact, with a simple Quora search, you can find countless people asking for advice on how to deal with such regret. Bypassing the interview process. If they've been away for just a couple of months, there's no real need of going through the lengthy interview process once again. Quicker onboarding process. You could also skip your employee onboarding process if your processes haven't changed that much. "You don't want to lose touch with people who have worked successfully for you or with you in the past. They could be your best future employees - or send you your best future employees." "Any ex-employee will likely stay in their field and gather more experience, so if you recruit them back, they may be an even better asset for your company. Keep in touch through LinkedIn and let them know you'd love to see them back one day. Follow their career and see where they end up, and maybe you'll be able to capture more boomerang employees." Internships are a great way to nurture potential future employees. Fresh perspective. By bringing in students who aren't inside your company every day, they can offer a fresh perspective on your business, strategies, and plans. Enhancing your social strategy. Take the opportunity to explain your social strategy to your interns and get their feedback. This provides young people the opportunity to incorporate what they've taught themselves about social media into the real world and their internship. Extra set of hands. An intern can provide you with an extra set of hands that can often help accomplish goals or finish projects. As long as the project will indeed help a young person learn a new skill, learn more about the industry, and give them a great learning experience, interns can work with other employees in the office on specific projects. Mentorship opportunities. Many employees look to mentor young people. An internship program provides an opportunity for your current employees to connect with these college students, meet with them, speak with them, and ultimately, mentor them. Plant seeds for future employment. It's a great opportunity for you to test out this new working relationship and vice versa. Many Fortune-500 companies retain over 80% of their interns as entry-level hires. The best channel for us other than LinkedIn is going direct to Universities where they have a MSc in Digital Marketing. We are lucky in Dublin in that 2 of the top Universities here run a Digital Marketing Masters courses. Typically we hire interns from the course and if they prove themselves we take them on a full time basis. Helping ambitious companies grow with Inbound Marketing. We cook up tasty content and deliver it on a silver digital platter for your audience. Find local college organizations and ask around for intra-college job boards. Another tactic you might use is to send a job description to the college's career development office. Make it clear and concise, with a unique value proposition for their students. This way, they might promote your job opportunity to their student database. 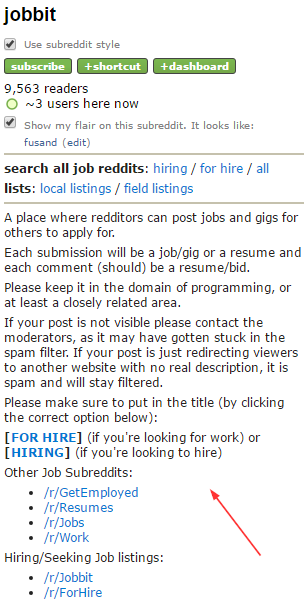 You can search for job posting opportunities within the Reddit community. There are a lot of recruitment websites for finding interns. Sell the future. Interns are primarily looking to learn and build their resume. Sell them the role and how they'll be able to achieve their short term and long term goals. Plan non-work activities. Help them bond with other interns and employees. An internship is not only about the work, it has to be fun too. Twitter is one of the most widely used micro blogging platforms. What makes Twitter such a great communication platform is the fact that you can easily participate in ongoing discussions. One of the best ways to search in Twitter bios is to use a tool called, FollowerWonk. 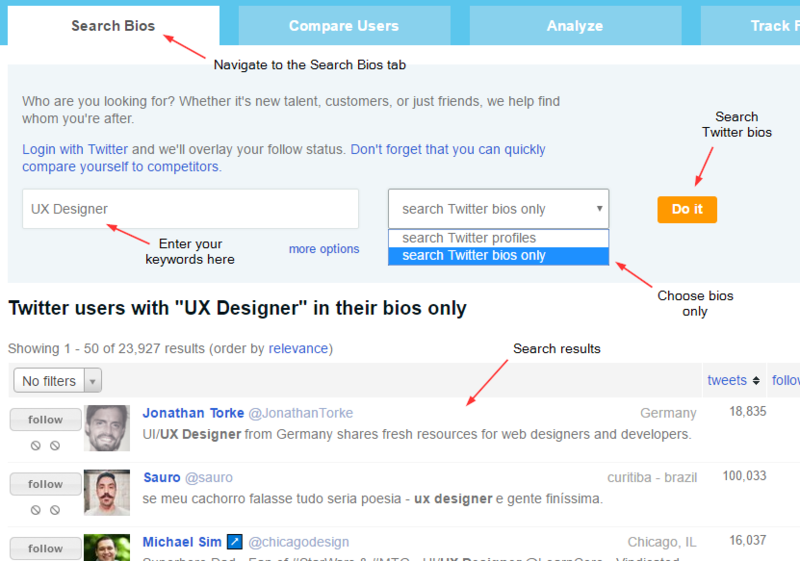 You can also narrow down your search by setting up some advanced options, such as Locations and Minimum number of Tweets. Twitter is all about being active where prospective candidates hang out. To do that, you'll need to understand how to find relevant Twitter conversations. One tool that can help you out with finding popular hashtags is Hashtagify. Follow them. The first step to engaging with someone on Twitter is to follow them. If users follow you back, that means you can use Twitter's private messaging functionality and contact them directly on Twitter. Add them to Twitter lists. Adding users to Twitter lists can make your candidates feel unique. Make sure your Twitter lists are public and do let them know that you've just added them to a particular list. 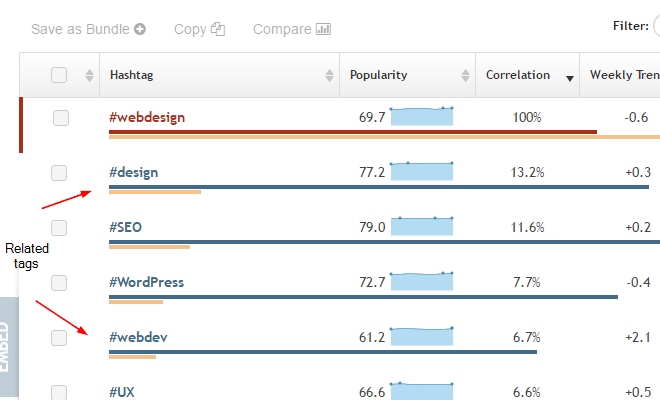 For example, if you're targeting web design candidates, you might name your list, "Professional Web Designers". Engage with users in relevant discussions. You should take an in-depth look at their post history and participate or @mention them in new conversations. Employee referrals are a great way of leveraging your existing employee network to find trustworthy ex-colleagues and friends. 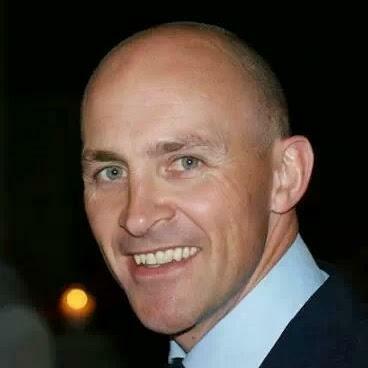 In fact, when we asked Erik Rostad, Founder of EPR Creations , what is his go to tactic for finding the best employees, he immediately replied with - "Word of mouth". Award Cash bonuses. A nice chunk of change never hurts, but remember that cash incentives are only part of the puzzle. Google, for example, found that doubling their cash bonus for referrals didn't help boost their numbers. Dispense swag. Awarding individual employees or departments with swag, like a t-shirt, is another great way to recognize contributors. When employees are walking around with shirts broadcasting their referral efforts, it also helps embed referring into your company culture. Success stories. Another way to put referrals on the radar during company or department-wide meetings is to celebrate success stories. Share the details of how an employee was referred, their journey to getting hired, and their contributions to the team since. Hold 15-minute coffee/source jams with every new employee. Why wait to scour a new employee's network? Building quick source jams into new hire onboarding is an orderly way for your recruiting team to discover any immediate potential fits and familiarize themselves with possible future candidates - even if there are currently no open roles. I've also contacted successful agency owners like Inertia Digital Marketing to get their take on which channels get them their best employees. I have historically relied heavily on LinkedIn and referrals. Referrals have always given me the most talented and creative individuals. 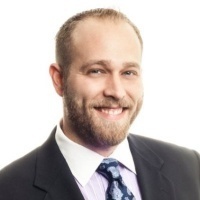 Adam Palmer, Founder of Inertia Digital Marketing. A Nashville based creative agency specializing in custom content & digital marketing strategies. Niche social bookmarking websites are link posting sites that target a particular audience. Social bookmarking websites are usually built around a particular topic or goal. Two examples of social bookmarking sites would be Inbound, targeting the marketing community, and HackerNews, targeting startup founders and software engineers. Finding employees on social bookmarking sites is all about finding and contributing to relevant discussions. Before contributing to any social bookmarking website, make sure you read the posting and commenting rules. Most niche bookmarking sites are commonly frequented and spammed by recruiters and sales people. This means that cold messaging people without prior engagement on such sites is not recommended. Some sites might have powerful search capabilities. If they don't, you can always create your custom Google searches queries to find prospective candidates on such sites. Add value to relevant discussions. The best way to connect with prospective candidates on social bookmarking sites is to engage in relevant discussions. Once you've established social capital, you can build better relationships on realtime channels, such as Twitter. Networking events, apart from being a good way for finding business partners, are also a great way for finding new employees. What makes networking events great recruitment venues is the fact that they are usually set up in a relaxed atmosphere. This makes it much easier not only to approach prospective employees but to also observe the way they interact with other people. An online social networking portal that facilitates offline group meetings in various localities around the world. A global marketplace for live experiences that allows people to find and create events in 190 countries. Look up attendees on the networking event page and engage with them beforehand on social media. Stay close to the food table. Look around for people standing alone. Running an open day at your offices can be a great way for your company to attract potential employees. A chance for prospective employees to interact with your staff. A great way for prospective employees to understand your company's culture. A great way to demonstrate transparency. According to Corecruitment, hosting a successful recruitment day is all about communication and coordination. Work together. Your staff must work together and pool their efforts to plan and organize the open day. It is essential that you make the event a team effort. Plan the date. Think carefully about the date. Organize the event far enough in advance that you can promote it in time. Snacks and drinks. It's up to you if you want to offer food such as canapes or other snacks, but it is advisable to at least offer coffee, tea and water to visitors. It helps to create a friendly, welcoming atmosphere and also to avoid any awkward silences. Advertising the open day. Create a special landing page on your website dedicated to the event. If your business location is accessible to the public, make use of easily visible signs or posters advertising the event. Collect personal information. Your open day attendees might not need a job now, but they might be looking for a new job in the future. Make sure you collect any personal information you might need in the future. Make it shareable. Not everyone would be able to make it to your open day. However, setting up a small photo booth and tagging attendees in social media photos goes a long way in letting people know about your company. 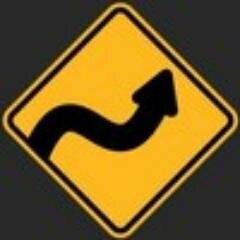 If you're looking for a stream of employees with a particular skill set, it might be a great idea to provide a course/guide around a complementary (parallel) skill set. For example, if you're constantly on the lookout for Graphic Designers, you might want to offer a short online course/guide titled: "Introduction to HTML for Graphic Designers". Find a competing course/guide and run the web URL through a backlink checker tool. You can use various backlink checkers, such as Ahrefs, SerpStat and SemRush. You'll find a whole new world of opportunities where you can share your course/guide. Contact industry influencers and let them now about your new course/guide. Make sure that you have a unique value proposition and pitch them on how sharing your new course/guide will add value to their audience. Keep your subscribers engaged. Your course/guide subscribers might not need a job now, but they might be looking for a new job in the future. Create fresh content. Publishing fresh and quality content will help your subscribers and prospective employees trust your brand more. It might even help you gain influencer status and more social capital around a particular niche. 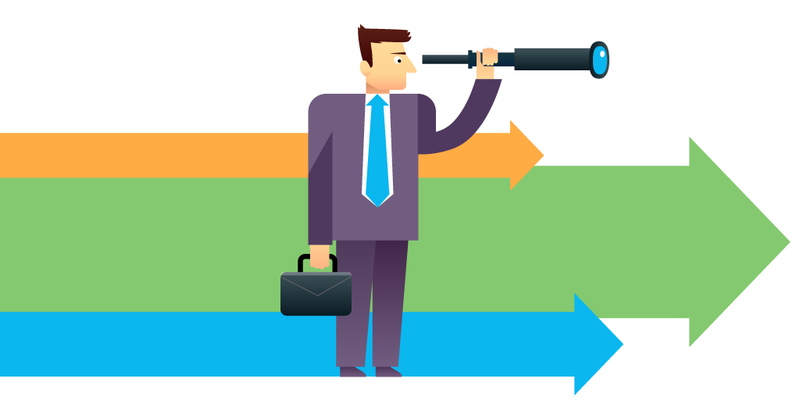 Recruitment Agencies can act as the middle man between your company and prospective candidates. It goes without saying that the biggest challenge when finding a recruitment agency is to find one that is trustworthy and has an excellent track record. Generic agencies. These agencies will usually keep multiple databases for different industries. Niche specialized agencies. These agencies will specialize in a particular niche, such as Online Gaming or Information Technology. Temp agencies. These agencies will provide your company with temporary workers. If you need particular employees for a short period of time (e.g: 6 months), you can loan workers from the temp agency. As you quite rightly guessed, recruitment agencies are very active on LinkedIn. 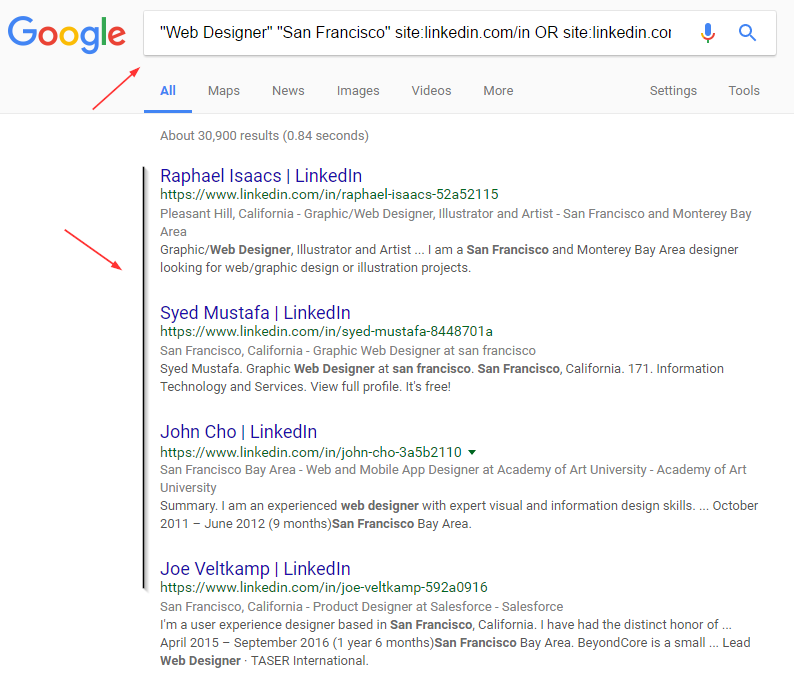 You can either do a LinkedIn search (if you're a premium member) or use some Google search tricks to get more or less, the same result. Referrals are a great way to understand if a recruitment agency is trustworthy. Time to source. 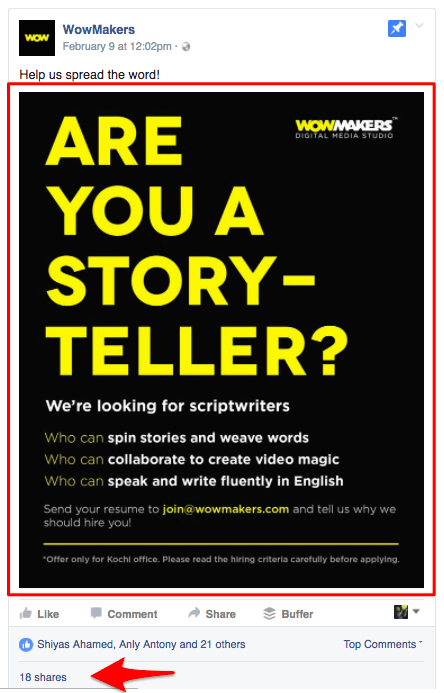 What is their time to source for this position in this industry at this location? Price. Most recruiting agencies charge in the neighborhood of 15-25% of the position’s first year’s salary. It can be higher for extremely in demand positions and it can be lower for positions with a surplus of labor. In finding your budget on this hire, you must weigh how well your other sourcing channels are performing and how much revenue the company is losing everyday by not having this position filled. Interview Rate (CV to interview). What percentage of their candidates submitted for interviews end up being hired? With agencies, you are paying a premium for top talents, so every candidate better be good. Ask for References. Call companies that use the services of the agency to inquire about its reliability, ethical practices & professionalism and any other things which you might require before joins hands with placement agency. Jack of all trades or Master of one. Find the Master of One rather than jack of all trades because the recruitment agencies who claims they are masters of a particular domain might have more in-depth understanding about your business. Consultant's qualifications or experience. Once you have identified some relevant agencies in your area, ask them about their consultants experience and qualifications as this will give you an indication that the consultant you are going to deal with is well-experienced, qualified and is well versed in recruitment law and practices. Be as specific as possible. If you're looking for particular skills don't just assume that recruiters will be on the lookout for those same skills, add them to your job description. Be as nice as possible. Recruiters already have to struggle due to some bad apples within the recruitment industry. Being as helpful and as nice as possible will go a long way in a recruiter's book. Setting up a career page on your company's website is one of the go to strategies when it comes to finding employees. However, apart from setting up your career page, you will need to invest time in crafting an effective distribution strategy. It's not only about getting prospective candidates to your careers page, it's all about converting them. Rob Kelly, Co-Founder and CEO at Ongig, has curated a list of inspirational career pages that you might want to check out. Find a competitor's careers page and run the web URL through a backlink checker tool. This way you'll be able to get ideas where your competitors are sharing (advertising) their career pages. You'll discover a whole new world of opportunities where you can share your careers page. Make your offering as clear as possible. Avoid using stock photos and cheesy titles, such as "ninja". If it sounds too childish, it probably is. Make it as appealing as possible. Create a win-win situation and offer a crystal clear advantage over your competitors. Hackathons are a great way to meet and exchange ideas with fellow developers and creatives. The great thing about hackathons is that they tend to attract people that are willing to work in a challenging environment. It's also a great way to build a brand name around a particular talent pool. Be welcoming to newcomers. Newcomers often suffer from imposter syndrome, the feeling that they don't belong because they don't have skills, aren't smart enough, etc. They're wrong, of course, but until they feel like they belong they will not be able to have a fulfilling experience. It is the hackathon organizer's job to help them realize they have something to contribute. Find a venue and reserve the date. The venue should provide proper seating, one power strip per table, Wifi, a projector, a microphone and should have accessible entrances and wheelchair-friendly seating space. Set up seating requirements. For hacking, you will want a banquet-style setup with large circular tables that seat about 10 people each. Find sponsors. Sponsors will give you something (cash, space, food, t-shirts) with the expectation that they get something out of their support for your event. They might be marketing a product that they want to promote. Set up your marketing. Reach out to whoever might be able to help. Partner with referrals and get attendees through those referrals. Budget for food. Ideally you should provide coffee and light fare for breakfast and beverages throughout the day (especially water). If you provide any food, you really must supply vegetarian and dairy-free options because these dietary restrictions are very common. Provide swag. You can provide your attendees with swag, like t-shirts or stickers. Don't get one-size-fits-all t-shirts because people aren't all alike. Set up a code of conduct. A code of conduct is not just about enforcing rules. It sets community norms and sends a signal to would-be participants that you are trying to create a welcoming environment. Collect personal information. You'll need to keep your hackathon attendees engaged not only during the hackathon, but afterwards as well. Set up marketing campaigns and share content that helps them out; they'll love you for it. Make it shareable. When setting up your hackathon, make sure that the whole experience is easily shareable on social media. You can get started by setting up your custom hashtag and encourage everyone at the hackathon to use that hashtag. You might think TV and radio advertising are dead. Or maybe not effective anymore. Well, if you do, you'd be very, very wrong. TV is still considered the gold standard for marketing. In fact, 30% of consumers in the US7 perceive online advertising as less effective than offline advertising. Also, according to Deloitte, 10% of respondents8 said that they searched for products online after having seen a TV ad. So, why use TV or radio advertising your job opening? Simple. Because not a lot of your competitors are doing it. This means that unlike in the social media and online world, TV and radio advertising lets you stand out. The process of finding good Ad agencies is very similar to that of finding recruitment agencies. Be as specific as possible. You don't want to target everyone with your TV or radio Ad, so make sure you're crafting a script that connects your target audience with your brand. You gain access to a large number of candidates in a one-stop environment. You can increase brand awareness. You have an opportunity to meet with non-traditional candidates. You can meet and network with other corporations. Most business one-stop shops will not only help you register your company in a particular state/country, but they'll also help you with government grants and access to local job fairs. 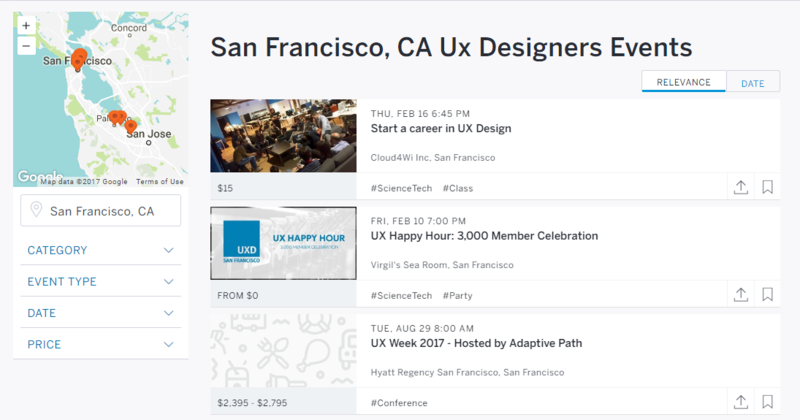 Eventbrite, Meetup and Facebook Events are one of the go to channels for people running job fairs. Make sure you sign up on these websites so that you can get notified immediately about such events. Bring useful and original materials. Potential candidates can learn almost everything about your company with a quick Google search. Set up an eye-catching booth that will attract job seekers. The more job seekers you attract, the greater your talent pool will be at the end of that day. Don't just refer job seekers to your website. Candidates want to know that they have an "in" or a special relationship because they came to the career fair. Know different ideas that you want to share with our readers? How are you implementing them? I'm happy to answer questions if you leave them in the comments below!